BBQ Sauce & Spice Listings! 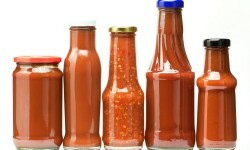 Find great sauces and spices or share some of your favorite BBQ Sauces with us! As much as we love good BBQ, we also love our Sauces, Spices and Rubs that give it that special flavor. We're building this as a directory of our favorites and yours. We need your help in spreading the word and letting us know your favorites! Please share your favorite BBQ Sauce, Spice, Rubs and what you think it is best served on - Simply go to Add a Sauce button above and enter your favorites. We then share the list with other lovers of BBQ like you on the BBQHWY™. P.S. We will not spam you, only need for you to create an account to protect the integrity of the listings and the site for all of us BBQ Lovers! Tell Your Friends and Your Favorite Restaurants, Sauces and Spices on the BBQ Highway!